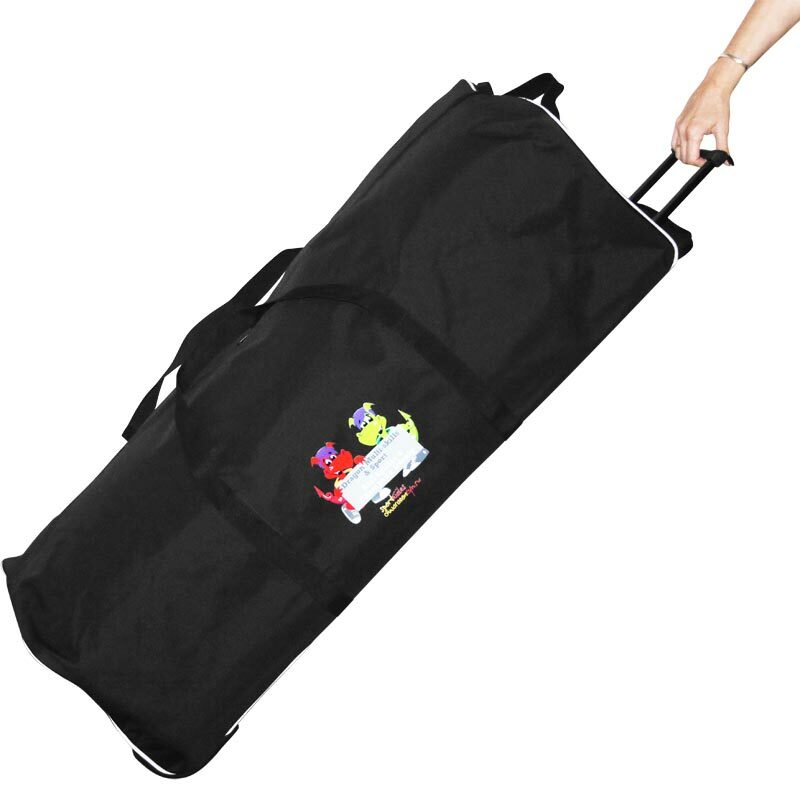 The Dragon Jumbo Wheeled Holdall is a heavy duty black nylon holdall with canvas carry handles. Durable wheels for ease of transport. Cosmetics/logo print are as shown. Bag Dimensions - H35cm x W39cm x L105cm.